Managing a demanding professional life and a busy private sphere takes energy. Never like in the past few years I have had to give some serious thought to how I manage energy and time, two of the most valuable assets we all own. I accepted that nobody can be 100% productive all day. As much as many of us wish to make the most of every minute, to get everything done, performing without break is just not humanly possible. The notion of productivity is the ability to be able to do more in a smaller amount of time. Of all our available resources, everyone has the same number of hours in a day. Some, however, happen to get more done. Are they faster or smarter? Do they have more help? Perhaps. But they’ve also learned strategies that can help them stretch time and eliminate the unimportant. I have found, especially in the past few months since starting my own firm, that concentration is like a muscle, it needs to rest to be able to function properly, and it can`t be overworked, or it will burn out and take time to heal. Finding how to turn up and down the dial that is our concentration is vital to make the most of our time, whether that is at work, at home, with our families or with ourselves. I was only delighted when I was introduced to the work that James Hewitt, Head of Science and Innovation at Hintsa Performance is driving and the impact that the organization is having on leading Fortune 500 companies and on the individuals they work with. For the third consecutive year, Hintsa Performance will be presenting at the annual World Economic Forum in Davos next week, releasing new exclusive research and exploring how wellbeing is an essential resource for addressing the global challenges of our hyper-connected, yet fractured world. Ahead of WEF, I have sat down with James to find out more about what drives and inspires one of the smartest and youngest minds of the Forum, and what we can learn from his work. Q. James, can you tell us a bit about you and your work? A. I’m fascinated with human performance, and exploring the limits of human potential. In particular, how the human body and mind have an incredible capacity to adapt, and grow, but also to create and solve seemingly impossible problems. I think my most dominant characteristic is ‘curiosity’. I’m always asking questions, I love learning, experimenting, trying to discover more about why and how things work in a systematic way, so science felt like a natural path for me. Looking back, I think I was inspired pursue this path at an early age. I was born in the United Kingdom, but one of my first memories, when I was around 3 years-old, is from the time we spent living in the United States. It was during the ‘glory years’ of the Space Shuttle Programme, and I remember watching shuttle launches live on TV, and visiting the Space Centre, in Houston, Texas. There was a Saturn V on display: the same model of mighty rocket which sent humans to the moon. I stood, completely dwarfed by the five giant F-1 rocket engines, and had a sense of awe, and wonder that people, working together, had designed and created this machine. It gave me a sense of the almost limitless possibility, which has never really left me. · Communication: Inspiring and equipping people to enhance their wellbeing and performance, through writing, speaking and coaching. Q. What does impact mean for you? A. ‘Impact’ means doing the most good, with the biggest effect, in the short time we have available on this planet. I feel very strongly, based on a growing body of evidence, that many people are only scratching the surface of their potential, and are likely being held back by out-dated beliefs about what it takes to achieve and ‘be the best they can be’. ‘All-nighters’, sleep-deprivation, sacrificing well-being for more hours in the office, romanticizing ‘the grind’ and ‘the hustle’ are often associated with the highest output, and the greatest achievements. We may even hold people up on a pedestal for pursuing this way of living and working – “Just look at what they built! They are so successful!” - but it’s possible that the people who are working in this way achieved what they did despite, not because of these approaches, and perhaps they could have achieved more, or perhaps achieved the same outcomes, at a reduced personal cost, if they had looked after themselves, and nurtured a more creative, sustainable approach to high-performance. Right now, I’m trying to contribute to exploring these ideas through my research, and working with organisations to find new ways of working, which enable knowledge workers to manage their well-being and performance more effectively, so that they can realise more of their potential. 1. How do knowledge workers’ lifestyle & work patterns influence their well-being and performance? 2. How does the digitally disrupted work context influence this relationship? 3. To what extent can digital tools enhance wellbeing and performance in knowledge workers? 4. Are their differences in how people respond to these digital tools, and can we measure that difference to predict the response? The reality is that we don’t really have much quality data to help us to answer these questions, yet. 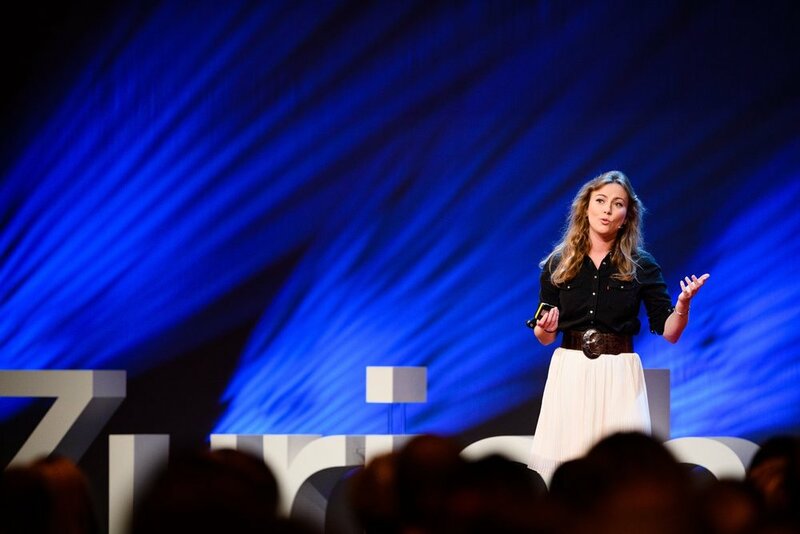 A. I have a clear sense of purpose, that drives a lot of my decision making; How can I equip and inspire people to realise more of their potential? Today, this is expressed through my research and work with individuals and organisations, in sport and business, from Formula 1 drivers to Fortune 500 companies. However, I spent a long time dedicated, in quite a selfish way, to my own performance and potential, before I pivoted into the space I work in now. As a teenager and up to my mid-20’s, I was trying to become a professional-cyclist. I started racing at a young age, but my cycling career truly began at the age of 19 when I moved to France. I crossed the Channel from my home in England with a suitcase, a contract with a small regional French team, and a dream. I worked hard, analysing everything I could about my performance in order to improve it, and managed to move up from regional to elite level in a couple of years. I secured a contract with an Elite Espoir team, which allowed me to race and train full-time. The team was also associated with a professional senior team. We received some of their bikes from the previous season, wore the same design of shorts as the real ‘pros’, and it was a credible path to a professional cycling career. However, as my career progressed, I realised I was working much harder, and more professionally than many of the people around me, but I just wasn’t getting the results. I had to be honest with myself, that I probably wasn’t going to reach the top of the sport. Also, when I looked deep-down, in truth I enjoyed the process of analysing, testing, training and experimenting to improve my performance, more than I did the actual racing. Q. There is a large debate going on around the future of work, talent retention and millennials' values. What do you think the future holds for old school organizations? A. The future of work is one of my primary areas of interest, and how workplaces need to adapt, to attract and retain top talent, is a key question. The future will be both automated and augmented. Some roles will be entirely supplanted. Many will be replaced in part. Even today, complex capabilities once considered too difficult to automate can now be performed by machines. However, I’m convinced that the future of work will be more ‘human’, at least in relation to the high-income, cognitively demanding and creative jobs, where employment is likely to grow. What can be automated will be. What can not, will become increasingly valuable. Up to 20% of a senior executive’s role could be automated, according to some studies, but this technology will also likely be assistive and enhancing, facilitating deeper insights, better decision making and multiplied output. Work may become less stressful, as machines help us to manage information flows more effectively, releasing us to focus on creativity, collaboration and complex problem solving. However, this kind of thinking and working is best achieved by well-rested, focused, purpose-driven brains, and diverse teams, who can compensate for each other’s biases, and enhance each other’s strengths. Organisations need to prepare for the growth in importance of non-routine work, produced by employees (and likely increasing numbers of free-lancers), who sleep well, eat healthily, exercise regularly, perhaps don’t follow traditional working hours and need to feel a deeper sense of purpose and vision for their work, to perform at their best. The days of looking for a ‘cookie-cutter’ archetype to fill rigidly defined job-roles will likely come to an end in many knowledge-intensive industries. Inclusive and diverse organisations are more likely to thrive in the future of work. 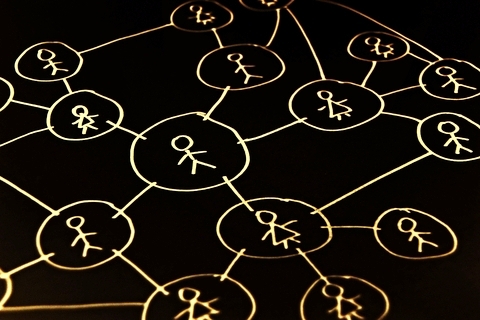 The multiplicity of thought, agility and effective approaches to collaboration, essential in organisations which encompass people from many different backgrounds, are more likely to propagate novel, harder to replicate solutions, differentiating individuals and companies from the commoditised, automated systems, which will operate vast proportions of many businesses. Q. This year, in your contribution at the annual World Economic Forum in Davos, you will be addressing a topic of increasing importance in today`s world: technology, epidemics of distraction, “always on” culture and productivity. Can you tell us a bit more about that? A. Absolutely. The World Economic Forum Annual meeting has a challenging theme this year: creating a shared future in a fractured world. In a 2-hour session, we’ll be exploring how wellbeing is an essential resource for addressing the global challenges of our hyper-connected, yet fractured world, how many leaders feel that they are not in control, and that their wellbeing is sacrificed in pursuit of performance, or even simply to survive. Leaders are bombarded with information. Short-term signals trigger cognitive rewards, feel valuable and important, hijacking cognitive control & preventing us from achieving our most important goals. The average CEO receives 250 e-mails per day. Many check their smartphone within 15 minutes of waking and multi-task throughout their conscious hours. The people who need to pay attention the most are often the most distracted, and the people who need to focus are too frequently the most fatigued. Our contemporary approaches to life and work encourage this relentless, fragmented pattern of working and living, and it’s unsustainable, weakens decision-making, diminishes health, restricts potential and may contribute to the cracks we see emerging in ourselves, our organisations, and beyond. The session’s aim is to inspire and equip leaders to ﬁnd new ways to manage wellbeing and performance, creating a culture of wellbeing that cascades down their organisations, and beyond. We argue that this starts with themselves, and begins by finding more opportunities to take a step-back, and give their brains a chance to avoid the ‘cognitive hijacks’ that so frequently disrupt us. Q. I hear of another incredibly interesting experiment you will be running on Davos` guests this year, scanning brain signals in real time, measuring and recording the collective intelligence of some of the world`s greatest minds. What do you expect to find? Will Davos brains really be any different to the cognitive set-up of ordinary mortals? A. Yes, we’ll be running an experiment called ‘DavosBrains’. The concept was a collaborative effort that first emerged during a conversation with Olivier Oullier. Olivier is a neuroscientist, President of neuroinformatics company ‘EMOTIV’ and a Hintsa Science Board member. We were talking about some of the themes in my PhD, which explores the wellbeing and performance of knowledge workers, and involves measuring their cognitive performance. We began speculating about the cognitive capabilities of high-performers in business, and whether top-executives had better cognitive performance, in domains such as sustained attention, for example, or perhaps it was worse, due to all the switching and attempts at multi-tasking. We designed an experiment, based on a cognitive test called ‘Rapid Visual Information Processing’, which is a sensitive assessment of cognitive function, including sustained attention. During the test, we’re using some brief survey methods to assess wellbeing, combined with the cognitive test, and an EMOTIV neuroheadset, which will record and visualize brain activity in real-time. As a ‘good scientist’, I’m backing the ‘null hypothesis’: that there is no difference in the cognitive capabilities of senior-executives, relative to a normal population, but perhaps we’ll find something cool! Whatever the case, it will be a fun and interesting experience for the participants, as they will get to see a 3D rotating model of their brain activity, rendered in real time, and have the opportunity to save and record a short video of their brain activity, to keep or share with their friends. It’s up to them whether they want to disclose the results of the cognitive tests, once they receive those! Thank you James, and I look forward to seeing such a cool experiment in action in Davos! #DavosBrains is a unique initiative, co-hosted by Hintsa Performance, ConsenSys & EMOTIV for guests attending the World Economic Forum this year. Further information available from 23 January here www.bit.ly/davos-brains. Further info on James work and content at WEF 2018 here. Curious about Hintsa`s work and their contribution to WEF 2018? Read more here. There are many reasons why I cringe everytime I hear people stereotyping, or being biased, consciously or unconsciously, and the most important one is that by choosing not see through people, we miss an incredible amount of pure gold. This is the reason why I strongly wanted one of my businesses - #SmartPlan, launching in February – to be made of smart minds and iron-will talent, competence and no arrogance. I made a conscious effort of steering away from old school hierarchies and titles, and chose to focus on those gems who do not let old flawed square structures define them, those who make real impact, those who do change the world, bringing incredible determination and strong implementable ideas to the table. I am after the real thing. The day of the event she went up on stage with determination. Not the type of determination enhanced by titles of typical executives, but the kind, gentle and steel-strong kind of genuine determination that shows at first glance. A young, strong, beautiful young woman with clear ideas, facts and incredible work done. Work that saves lives. When people meet me the comment they often make is that they feel the energy and the passion I convey. When I later met her for an interview and sat next to her, I was taken aback by so much wisdom, energy, kindness, determination, passion and iron-will all packed into an incredible 28 year old Swiss woman. 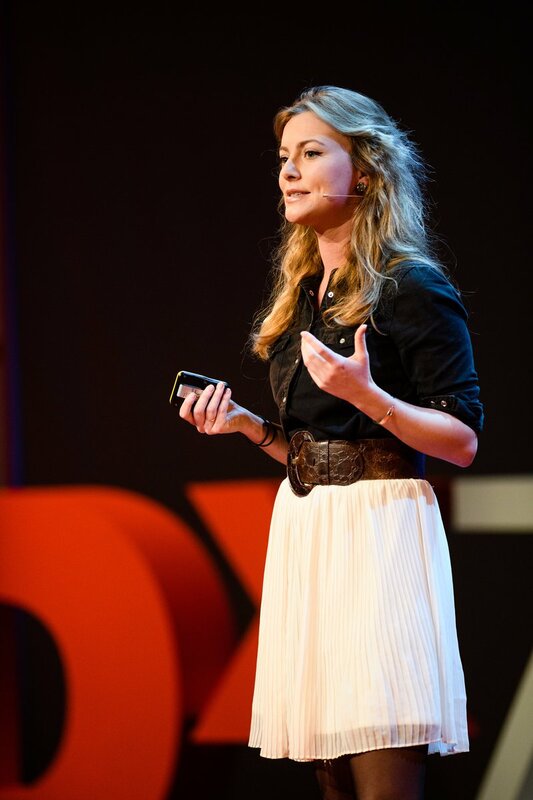 I interviewed Liska Bernet on that November day after her TEDx speech, then again last week. I normally edit or add a few content hooks to my #FearlessFridays interviews but this time I will step aside and let her words and pictures speak for themselves. She has had me glued to the spot every time. Enjoy the emotional ride dear reader. Q. Liska, can you tell us a bit about yourself? I’m a 28 year old Swiss woman currently living in Zurich with my partner. I finished my Master degree in International Development with a focus on humanitarian emergencies at the London School of Economics (LSE) in the summer of 2015. This was at a time when hundreds of refugees were making the perilous journey through the Mediterranean Sea every day. Many of them drowned and the rest was in desperate need of our help. And yet, the European response seemed lethargic. I felt shame, shame to be European, and realized I had to do something and take action. Over Facebook I connected with a group of people who were helping out along the Balkan route and shortly after I decided to join them. First, I went to Serbia and later to Lesvos, where I was confronted with a desperate humanitarian situation and with police brutality against refugees. I saw that there were no big NGOs there and that the governments were just not there. However, in both places, there was a passionate team of strangers from all over Europe with a shared goal. They unloaded vans, prepared food, handed out winter jackets and shoes: students, retired people, mothers, truck drivers, doctors and bankers. And from there we started organizing ourselves. I was blown away by what we managed to achieve together while the officially appointed authorities barely showed their faces. And so I kept going – to this day. Q. What did you do next? 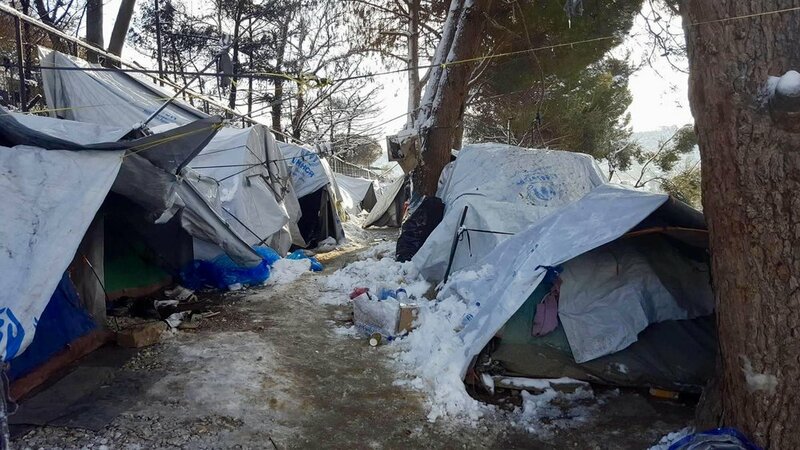 Have a look at this picture of an official refugee camp in a European country in January 2017. When thousands of men, women, and children arrived at the borders of Europe in 2015, I became part of a grassroots response to this European crisis. Because like many others, I just couldn’t quite comprehend that scenes like the one in this picture are really unfolding in our own backyard. Over the last couple of years I saw many things I never expected to ever see in Europe. But what shocked me most were the conditions refugees were forced to live in. I saw thousands of people sleeping on dirt soil, without shelter, water, or food. And I worked in camps where up to 6000 people shared 8 showers. I have a background in development and humanitarian aid and I’m quite familiar with the typical excuses of why it takes three months to build a toilet or why refugees still live without proper shelter after two years. But none of these excuses really work in Europe. It’s a lot easier to ship a few containers of aid to Greece than to Syria. We have sufficient funding considering the number of refugees: in Greece, less than 1% of it’s population are refugees or people seeking asylum. In Lebanon it’s over 25% of the population. The humanitarian system has been struggling and has been playing chess with politicians. There have been some especially effective, scalable projects that manage to offer food, shelter, medical support and many other things for thousands of people- doing more with less. These projects and the people behind them are the grassroots response. Q. What are their solutions? What do they do differently? There are three takeaway lessons that we should learn from their efforts. Lesson Nr. 1: Put people first. Traditional humanitarian systems are often based on a charity approach. They look at the people affected by a crisis as a beneficiary and not as a partner. The grassroots response grew out of solidarity. And solidarity means to work together and not for someone. To give you an example: in these pictures you can see a food distribution based on the logics of charity. 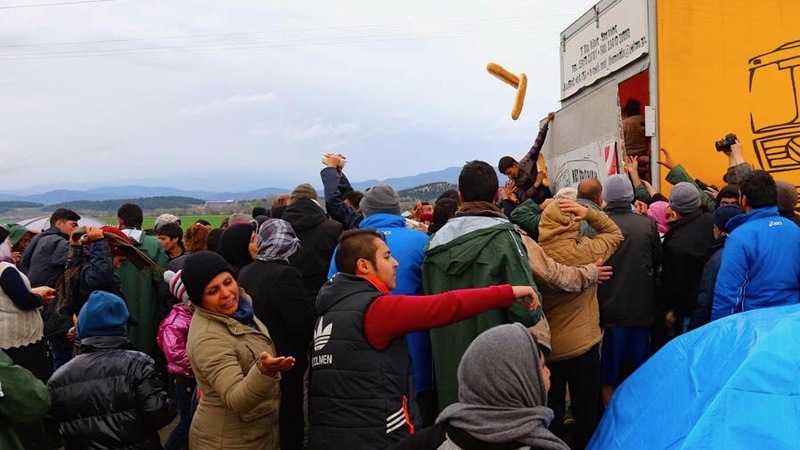 This picture shows how bread is thrown out of the back of a truck. Whoever catches it, can keep it. 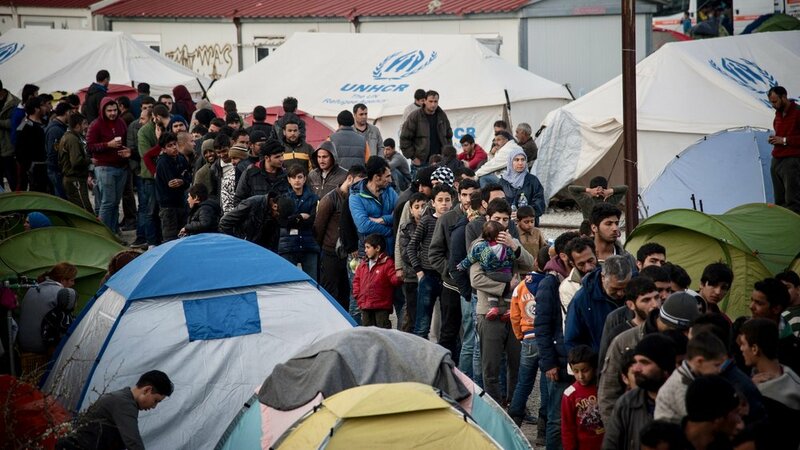 Or below you can see how refugees have to stand in line for hours and hours every single day to receive their meals. And finally here you can see the meals. I’ll let you judge if it’s worth the wait. Food distributions based on the logic of solidarity look different. In a community centre that we built in Athens - alongside refugees themselves, we built a kitchen where refugees cook food for up to 1000 people each day. And they decided to serve it restaurant-style because that’s more dignified than having to stand in line for everything. There is a lot more pride and dignity in empowering the people and the overall effect was happier, responsibility-taking people. Lesson nr. 2: Change the dynamics of fundraising. Big NGOs are often very funder-driven and often end up struggling with political pleasing exercises. In all this, they sometimes forget to engage with real people’s problems. Grassroots groups mostly opt for crowd funding money for specific projects or to give directly to refugees. Lesson nr. 3: It is 2018, not 1945. Digital engagement and social media do make an incredible tangible difference. Leverage it. Slow, bureaucratic organizations often look like inefficient dinosaurs to a new generation of tech-savvy, entrepreneurial minds. Most members of the grassroots response grew up in a digital area and know how to leverage the speed and flexibility of our time. And because most of them don’t have a background in the traditional aid sector, they use methods and solutions that might seem quite unconventional for the humanitarian system - a system that hasn’t changed much since it was established after the second World War. To give you an example, when I arrived in Lesvos in the fall 2015, hundreds of people were sleeping outside the registration centre in Moria. They were sleeping in the mud and didn’t have anything. Within a couple of weeks, we managed to build a well functioning camp for about 800 people. Though we were only a handful of people with literally no money, we had social media and we had technology. We used Facebook and other social media channels to get other teams and independent volunteers with relevant skills to come to Moria. There was for example a group from Holland that usually works in the festival industry. They used their networks to get festival infrastructure shipped to the islands. Suddenly we had expensive high quality tents. Some of them also had very useful knowledge and skills regarding things like waste management and sanitary provision but also things like power, site lighting for safety or crowd control. I know it sounds ironic, but building a festival and building a temporary refugee camp actually has quite a few similarities. Another team that usually runs a food waste catering business in England showed up shortly after and built a food tent. 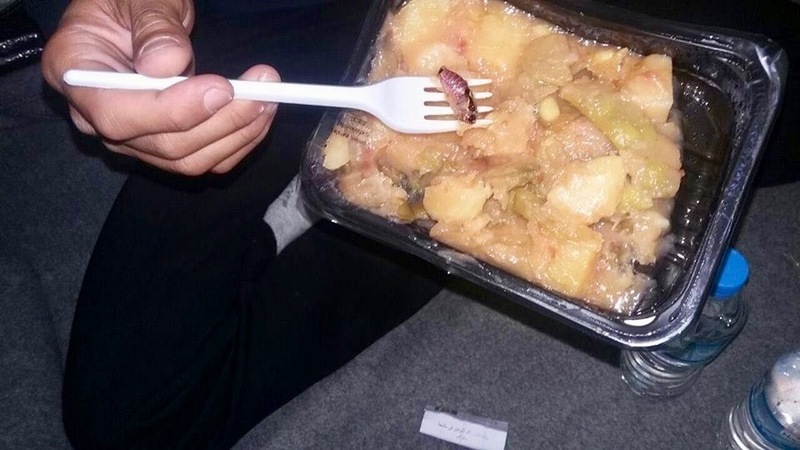 And within only a few days they established links with local supermarkets where they could pick up the food waste each evening and make it into nice meals. One team even established a delivery system to bring items from the warehouses to the camps. The system worked a bit like Uber, except that it was free and that we used what’s app to ask for deliveries of the items we needed. And now, not only in Greece, but across all European countries, people started countless initiatives to help newcomers find flats, jobs, bicycles and friends and all the other things we need to live a more or less normal, dignified life. Q. What drives you every day? Realizing that we have the capability of actually changing something if we have the courage to take action and to try is what keeps me going. This, and a massive need for action in this world. I’m extremely thankful that I found my passion at such a young age. When I went to Lesvos, I was thrown into a situation where I had to organize myself with others and start to build something very quickly. Every hour counted and there was no one who could tell you what to do. We just had to try. For me, this was a huge learning experience as I realized what we’re capable of, if we have the courage to just go for it. And it helped me to believe and trust in myself and my skills. Q. There is a large debate going on around the future of work, talent retention and millennials values. What do you think the future holds for old school organizations ? Many of the projects I worked in and co-established depended on a huge volunteer workforce - up to 150 volunteers per day. So you have to think about why people keep working for no money or only for a very basic income. Interestingly, quite a few people from the corporate world quit their jobs and decided to come volunteer with us instead. The same goes for personnel from the UNHCR or big INGOs. 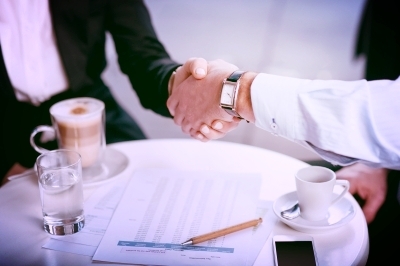 Our projects were always based on mutual decision-making and shared ownership. Of course this can be very challenging, especially when dealing with so many different languages – but the benefits of basis-democratic approaches and shared ownership are huge as well. People who could never voice their ideas in hierarchical top-down systems start to speak-up, to act and become agents of change. I think it’s very important to feel that you can make a difference with what you do. Innovative talents need work environments where they can contribute, collaborate, co-create. A work environment where their opinion is being valued and respected. Unfortunately, corporate environments are often the exact opposite of that – especially for women. Q. What is next on your projects list? I’ve realized that I want to keep building innovative bottom-up projects for humanitarian causes. There is so much work to do. We need to find ways that re-conceive displacement as possible win-win opportunity for host countries. This is what I’m currently working on – together with a great team - a new impact start up organization, Glocal Roots focused on developing and supporting bottom-up innovation. The goal is promoting and enabling immigrants, supporting them from dependency to increased self-reliance, resilience, and development. The stakes are high: the success or failure of this transition can reverberate for years and in the worst cases for generations, with strong repercussions on society. We want to have an influence on whether refugees become fully participating citizens who reach their full potential and contribute to their new society or remain in a poverty trap. Currently, we are working on our first projects in Switzerland, in Greece and in Lebanon. History speaks for itself, immigration is part of the human race, sadly we tend to forget that all of our ancestors, at some point in time, have been immigrants. Many of today`s first world countries are made of immigrants who at some point left their original countries and chose a new home, we have quite some interesting examples to look at. What we’ve seen in Europe over the past years will stay with us for a long time. Migration is not going to go away and people will continue to be displaced for different reasons. If we want to stop failing refugees, and our society and our children`s future at large, we need to come up with realistic solutions that work in today’s world. Solutions that are not based on old logics of humanitarian assistance and charity but on new practices of solidarity and autonomy. We need flexible funding and innovative, new ideas. We need solutions that reflect our Zeitgeist. "Why has bettering the world become a mantra for a new generation of entrepreneurs? "So, what is the importance of wealth to the “unreasonable man”? If impact entrepreneurs happen to become overnight millionaires, then the cause doesn’t stop; it just becomes more viable. PayPal founder Elon Musk made enough money by the time he was 30 to retire for the rest of his life. Instead of Ferraris and desert islands, he used his newfound funds to launch electric car manufacturer Tesla, disrupting the automotive industry forever. However, acknowledging that Tesla alone cannot save the planet from heavy emission vehicles, Musk is making public all of their patents for the advancement of the industry. The enemy is the carbon crisis, not rival car manufacturers. Among the “crazy ones” featured by Jobs in his iconic film, was Virgin founder Richard Branson. Since the 1970s Branson has been the champion of the “better alternative.” From health clubs to airlines, Branson has disrupted the old guard and won the hearts, minds — and importantly — loyalty of customers by guaranteeing a better way of doing things. His philosophy is embedded firmly in the DNA of the 400+ Virgin companies operating across the globe. As Branson has stepped back from running his empire, he has become a prolific ambassador for what he calls “business as a force for good.” Whether this is leveraging entrepreneurial tenacity to tackle problems that governments have failed to solve, or by launching The B Team, a not-for profit that encourages businesses to be of “social, environmental and economic benefit,” Branson is paving the way for impact entrepreneurs everywhere. "I'm convinced that all of us are making a difference everyday. In our families, at work, in our community. But sometimes I have the feeling I could do better. Or I could do more? Let me share with you today my very personal story. And how I went from feeling completely powerless to making a difference." "The fact that you and I, and most people in this room, were born in the first world, to mostly wealthy, balanced families, is a completely coincidental fact and none of us has done anything to deserve it." Well, that is an interesting start I thought. Pen and notebook put aside I focused on listening carefully to his words, spoken and unspoken. Having just heard the incredible story of immigration of the wonderful Rima Alaifari (more on her speech soon) and witnessed first-hand how unconscious biases can harm our society, our economies and our future, I was very keen to understand what a known Swiss entrepreneur has done to make real impact on our world. Christian Hirsig is a Swiss serial business and technology entrepreneur, an open innovation pioneer and the founder of Atizo.com, a crowdsourcing platform, and of PowerCoders. In 2009 he was selected to be on the Swiss national set-up team, named 40 under 40 by Bilanz in 2012 and, in 2016 represented Switzerland at the Global Entrepreneur Summit at Stanford. I met Christian in the backstage after his inspiring speech. While exchanging numbers and looking at articles on our phones, we briefly discussed career, family, life with little children - ours happen to have similar ages - how time is running and how important it is to switch off from time to time and avoid to suffer from "fragmented attention". Christian is genuine, inspiring, fresh, a true ‘force for good’. Manuela. Christian, what led you to start PowerCoders and can you tell us more about it and its impact? Christian. Hi Manuela, sure. Let me go back of five years. We were a successful start-up working for very cool brands, winning all these fancy start-up prices. My story starts on a warm summer day in Paris. After a successful workshop with a famous jewelry brand, I walked to the station to head back to Switzerland. Once comfortable in my seat I looked around and realized someone had forgotten a newspaper on the table. I lazily started reading it, page after page, until, boom. A picture of a little girl, probably 4 years old. Sitting alone at a beach, likely somewhere in Greece. Wrapped in blankets, probably just pulled out of the water by some strangers. I went in one second from being enthusiastic about my life and my businesses, riding the wave of success, to completely powerless. I felt a very strong pain. I still do. And I don't know where exactly it is coming from. But let me try to elaborate a bit on this. I believe it is a mere coincidence that I was born in Switzerland. And this girl in Syria. She also could be sitting in that very same train I was sitting in. I probably was feeling the sheer injustice. It was just not right that she was sitting at that beach, alone. When I got back home I started speaking with friends about the refugee crisis and what we could do. But we all had great excuses. Employees, investors, family - and so did I. I just tried to push it aside. Quite successfully I have to confess. C. Let me fast forward to summer 2016. Our start-up was sold. On a trip to Washington last summer I met Cornelia and Dita. 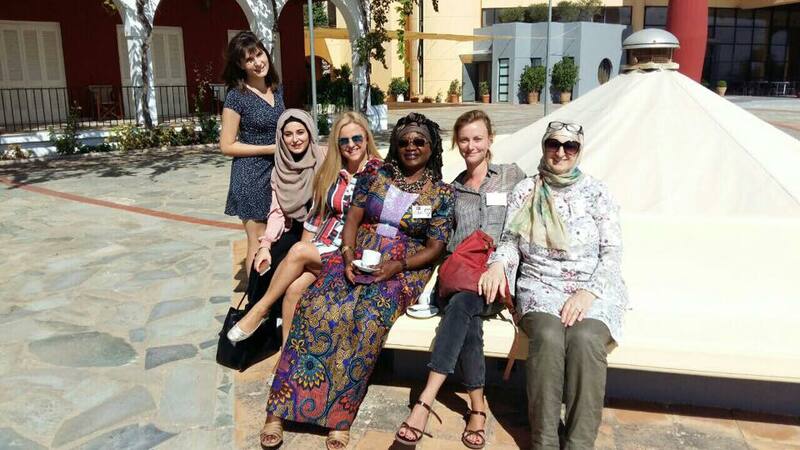 Cornelia has a catering company that provides food for refugees. And Dita has a coding academy for women. Together we came up with the idea of a coding academy for refugees. And there it was again the picture of the girl. But this time I could picture a whole different context. I felt strong, I felt I could make a change. I was the only one of our small group that had some spare time so I suggested to run a pilot of our business idea in my home town in Bern. M. From running a pilot to building a school, how did you do that? C. After securing funds for Bern we put together a team consisting of IT experts and social workers. Within just a few weeks we had 150 students applications and 100 volunteers. The solidarity was just unbelievable. In January 2017, 15 students from 8 different nations started school. It was such an incredible mix of people. Young, eager, smart and humble. In February we were able to match all of them with companies that offered internships in Switzerland. And after 12 weeks of intense school in April the first group of students graduated and received their the diploma. The students gifted us with flowers. Lhamo, our Tibetian student put a scarf around our shoulders. It was her sign of honoring our work. And for me probably one of the best things that has happened to me in my whole life, both humbling and empowering. M. How did you promote integration between the students, the local population and the hiring companies? C. The students started internships. We were kept updated on their progress and met them once a month to assess each case. I guess I felt a bit like parents of teens must be feeling when their kids are leaving for college. A couple of months in we were informed by one of our students that he had signed a contract, the week after another followed. And on and on it went. All students were successfully hired with stable contracts. 6 weeks ago 18 students started in Zürich, this week they all had multiple job interviews. During the same week we were also informed that the Swiss government will support us to run 5 more Powercoders schools for the next 3 years across the country. Tonight we will be on Swiss national TV to report on our mission and achievements. The students` achievements. This is just the beginning. Very soon we will be able to open-source our program - a bit like TED and its TEDx series - so everyone around the globe who wants to impact lives by teaching to code can do so. And we will support them by building PowerCoders schools in their cities. I found how to leverage my entrepreneurial background to make a tangible difference in this world. 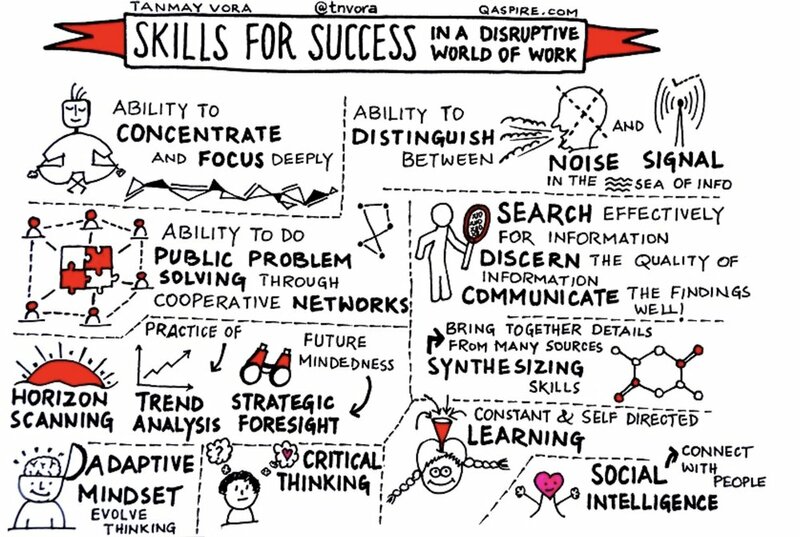 So think about what are your core skills and how can you use them to create sustainable impact? M. Your story and energy are so inspiring and your achievements are impressive! On your blog you state: "the common definition of success is completing university and getting a well paid, stable corporate job". Obviously your story is not common and your definition of success is quite different, thankfully. What made you choose to become an entrepreneur? C. I think the challenge, and at the same time the opportunity, that we have in Switzerland and in most of the "first world", is that we have great work opportunities after our studies, so it is relatively easy to secure stable jobs. Most of us are more likely to join big corporations and quickly get to a 6 figure salary, the incentive to start your own business is somehow lower than elsewhere. It is therefore not too surprising that recent research from the University of St.Gallen on innovation potential by country and global likelihood of entrepreneurship, points to the fact that in emerging economies people are more likely to start companies and to be innovative because well, they have few other options. I also believe that many of us have a strong entrepreneurial drive in their DNA, they simply need to push themselves out of the comfort zone. I come from a very entrepreneurial family, every single person in my family has his of her own business(es). Even so, I did try the corporate route before starting my first business, but I became very frustrated very quickly. I was working for a large Swiss company that while presenting its workforce with interesting and innovative projects, was struggling with internal processes, and had an incredibly long decision time for the smallest tasks. We worked hours on-end-to produce concepts and projects that in the end were not approved. Too low ROI, too much work for little result, too little recognition. So I left. I never gave too much relevance to high income, I was happy to leave behind a corporate salary to start my first company, on the one hand I had reserves, on the other I could reduce expenses for a while without impact. So that part gave me the freedom to focus on my business. M. I suppose we already know part of your goals and incredible achievements, is there any further impact you wish to make on others and the world? C. Wow that is a big question! I suppose I do want to make an impact. From an entrepreneurial perspective, with Swisspreneur we want to inspire young people to start their entrepreneurial ventures as early as realistic. It can be as simple as helping running events, working alongside a start up, just ways to dip your toe in this world. We believe that countries with a higher percentage of entrepreneurship will adapt a lot faster and better to digital age and to innovation at large, soon we will see a rapid change in how we work and what we work on. I incentivize young people to push themselves out of the comfort zone daily, for different reasons, but especially when it comes to their employment choices. We have a social responsibility to improve the status quo of our planet, from pollution and global warming, to third world challenges, hunger, poverty. I personally try to walk the talk, I don’t own a car, I reduce my carbon footprint, I reduce meat intake, I support NGOs and charities that try to make a difference. Leading PowerCoders has been an amazing journey so far, we have been able to make a real difference for migrants who have had to move to Switzerland. It is important to give them the dignity they deserve, it is also key for Switzerland as these are skilled talented people who can and will help economies to flourish further. M. What challenges did you encounter in pursuing your passion and pushing yourself out of the comfort zone? C. Many! Success is failure in small doses. Every successful entrepreneur had to fail in small steps, you just learn when you fail. The biggest challenges are putting together the right teams and finding and retaining customers as the world moves so fast. It is difficult, right now my main personal challenge is finding a good balance between all my projects and time for my family, having quality time with them while truly savouring our time together, being relaxed and giving them my full attention. Probably a challenge common to all parents of young children who are investing time and passion in their work. M. So can you give us a few tips on how do you balance life and work with a young family? C. I don`t have all the right answers, it has a lot to do with being clear with our goals. In our family we are very creative and learn as we go by, we try to be very organized and plan ahead, we almost run the family as a small company, with a lot of different calendars to be on top of activities and run the home business. Children just want to have time with you, at this stage for them everything else matters less. If I am with the kids I focus on them and shut off the world. M. I can only relate. Increasingly more bright minds are choosing to leave the corporate world and start their business or join start-ups that are thriving to make an impact. What will the future hold for slow adapting large corporations that are no longer able to retain their talents in your opinion and what could be the impact on society? What will happen to corporations who are embracing great change? C. Yes there are many companies that are not doing a good job at retaining talents, some however are reacting, although very slowly. Normally once they start moving they move and they are powerful. We are seeing this in the Silicon Valley: many companies are starting to adapt and develop new working models and being successful at that. Companies that will not be able to adapt will not survive. Thank you Christian, more soon! This is how the most successful fundraising effort in Swiss history unfolds. The magazine, which will publish in German, promises to upload three pieces of journalism a day—articles, podcasts, photo reportage, or video—that will be well researched, well sourced, and factual. That material will sit behind a strong paywall, because content has value. 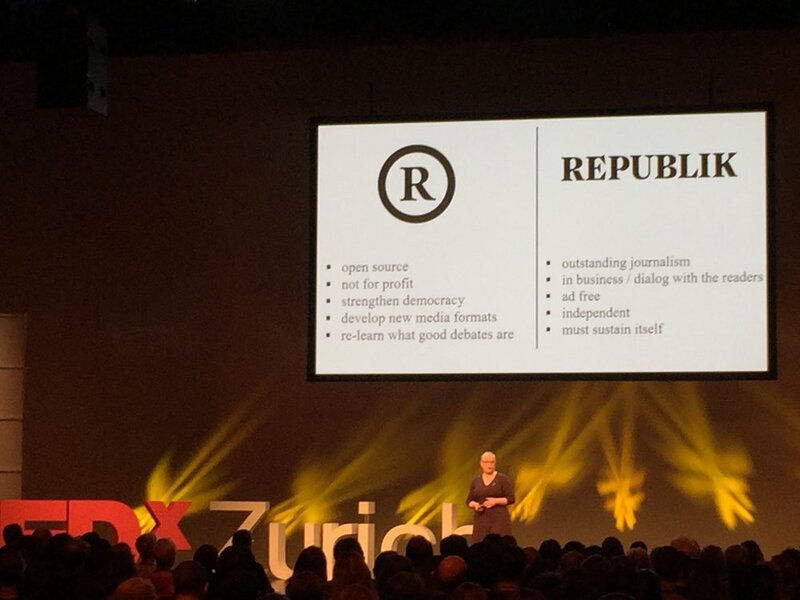 I stood and watched Nadja speak about "Republik" at the annual TEDx Zurich event a couple of weeks ago. 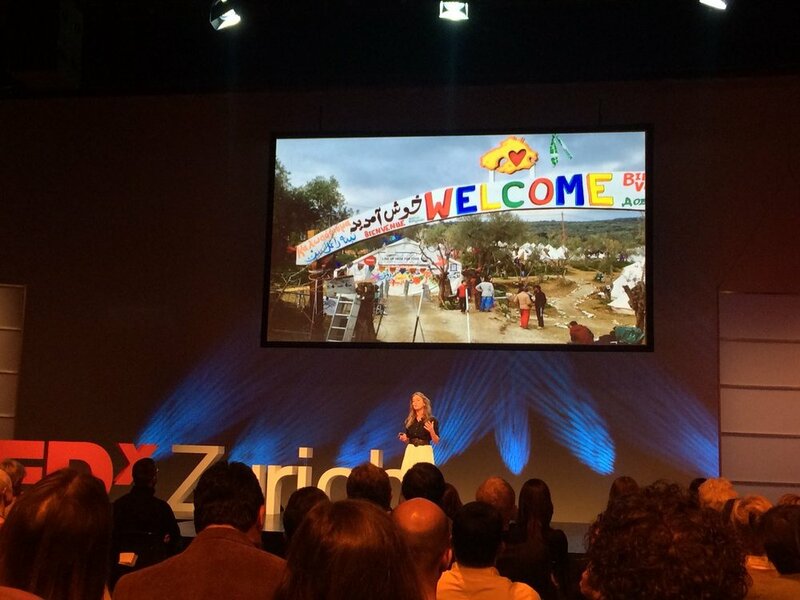 I was kindly invited as part of the TEDx crowd to interview their incredibly interesting speakers. Needless to say, I headed to dinner that night after the event and after so many inspiring conversations with a notebook full of notes, a bag full of the most interesting business cards and a head full of inspiration and to do`s. The next day I wrote notes about the presentations that had hit a nerve. Nadja`s speech stood out so clearly in my mind. Not only because of the initial contrast between her firm and passionate words on stage and her approachability and interest once I met her off stage, but because in the past ten years I have watched with increasing worry the damage that cheap press and social media are doing to human brains. And that is a soft way of putting it. Social media should be intended for sharing of information, pictures, facts. It is great to keep people in touch, to give a voice to everyone (not in all cases), however what should be easy to understand and obvious, is often not. Social media information has no source verification, there is tons of fake information, or very personal views, it is a circus most often than not, and your circle is only that, your circle. Most people in your circle will likely think like you but by no means that is a representation of reality. Raise your hand if the day after the latest UK and US elections you were surprised by what your circle of people had predicted on social media. Our brains should be able to filter all this. It turns out often they are not. Just look at the damages we see hitting the political and societal scenes. Not only new generations and younger audiences but also and maybe even more so older generations must learn to distinguish truth from lie. It sounds easy. Sadly it is not. Let us talk about free press - what are the budgets behind the verification of news of free press? So how authentic and verified do we think oftentimes their news can be? And now imagine with digital devices as extension of our bodies and social media, how fast inaccurate information fires up around the internet. In the era of low-cost-everything and endless ongoing streaming of noise, call it cheap news, call it questionable "gurus", we must go back to the basics of journalism and understand that quality has a cost and often comes with a credible name. As simple as that. If we are ready to pay for high quality food, holidays, IT, security, childcare, schools, universities, professionals, caretakers, good films, theaters, why have we forgotten that we should indeed be aiming for high quality when it comes to what we feed our brains with? How come have we forgotten that the information that we allow our brains to process, the way we understand the world, has a massive impact on the world itself? And paying is not even sufficient, we must train and re-train our brains to filter the noise too. Because while I recognize the value of it, I know only too well that social media is loud, as well as most free stuff is loud and often unsolicited. It distracts us too often. Personally I make distinct choices when it comes to reading newspapers, magazines, or "research": I trust and follow some journalists, writers and sources since years, I am happy to pay for what they write and I would argue we should be paying them more. I also read ‘free’ press rarely and occasionally social media articles, like everyone else, lightly paid by advertising normally or sponsored by household names, and I train myself to filter and check sources. We are talking about the proverbial strangers’ candies for children. Would you want potentially poisoned food for your brain? In today’s world, critical thinking should be taught in school starting with little children and stands as a key parental duty. On the morning of June 15 2017 I must have been frowning so hard above my Financial Times copy on my iPad because my 4 year old came up to me and asked "Mummy, are you angry?". I am actually very worried little boy, about what the future holds. I was reading an article called "How Facebook is changing democracy" by Simon Kuper, full article here (yes, it is behind paywall, but a 14 days FT trial costs 1 CHF, please go ahead and subscribe). I know. Shocking. However, unexpected? Not really. 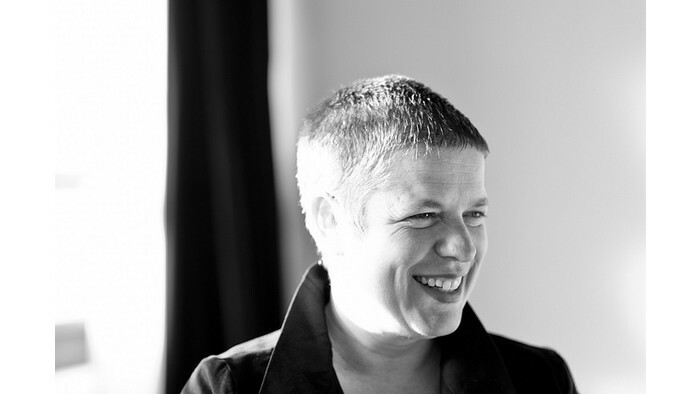 Below is an extract of my conversations with Nadja Schnetzler, president of „Project R“, the force behind "Republik", made of 10 founding members, five men and five women of different ages and a variety of backgrounds. 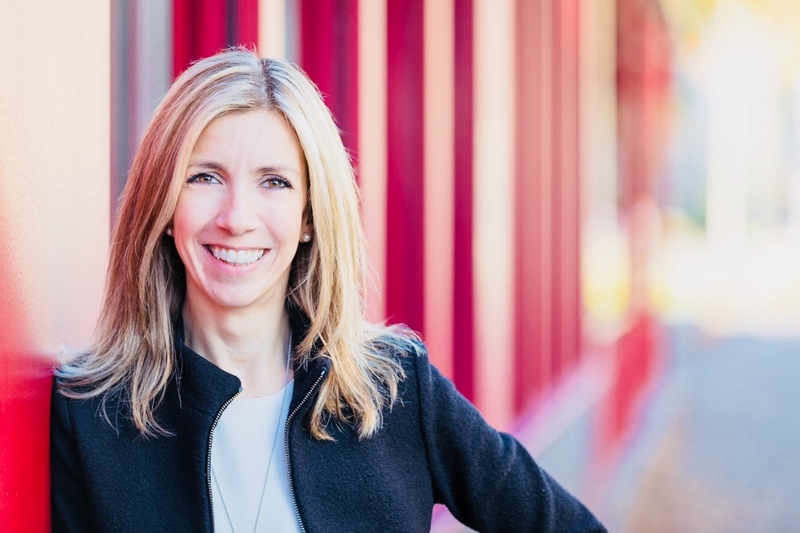 Nadja, you are an alumna of Ringier Journalism school, and a serial entrepreneur. Co-founder of BrainStore, founder of «Word and Deed», co-founder of the soon to launch "Republik" and president of Project R cooperative, which aims to strengthen democracy through the continuous evolution of journalism. An innovation pioneer is safe to say. "Word and Deed", reading from your blog, was born to "inspire other people to try new things when it comes to innovation, collaboration and communication". Question. What inspired you and led to your current direction? Answer. During my two decades at BrainStore I got curious why many teams do not implement the great ideas they create and I noticed that teams are having a hard time dealing with change and incorporating change into their teams, systems and organisations. I wanted to help change that. Q. What impact you wish to make on others and the world? A. My purpose is to inspire others and to be inspired. This is my compass that helps me select work, direct my attention and choose the things I focus on. I recommend everyone to define their own purpose, ideally it matches both work as well as personal life. Q. Why do you think "Republik" was such a well received and successful crowdfunding operation? A. There are many reasons, but I would say that it was a combination of a very important purpose, the right timing and excellent collaboration in a diverse team. Q. Did you ever have a change of direction in your career, if so, when did you feel it was right for you and why? A. I breathe change with every part of my being. I cannot live without change and I hate routine. So I am always looking for new challenges. No two days should be the same in my opinion. Q. What challenges did you encounter? A. As an entrepreneur, I have lived through every kind of challenge imaginable. The trick is to adapt to change gracefully and to accept change and insecurity as your friend. Only when you can do that you can survive challenges like financial crisis, debt or help a team that is insecure navigate change. Q. How do you balance life and work? A. Work is life and life is work. I really do not make any distinction or try to artificially “balance” anything. My personal purpose and my work purpose are the same. Be inspired and inspire others. Also having different people in my life who support me and are my friends or partners in different circumstances helps me keep a healthy balance. In times of stress I do practice transcendental meditation. Q. Increasingly more bright minds are choosing to leave the "old corporate world" and start their business or join start-ups that are thriving to make an impact. What will the future hold for large corporations who are no longer able to retain their talents in your opinion and what could be the impact on society? Is the balance of power shifting? A. The corporate world has yet to realize (they do, but they are slow at it) that they need to create environments of purpose. If there is no purpose, talents cannot develop. In systems with purpose, self-organisation and self-direction is key. It is crucial for large corporates to make that shift now. Thank you Nadja, we look forward to the launch of Republik in January! #FearlessFridays. Is the balance of power shifting? No career is a straight line. A few follow predictable paths; most take surprising curves to unexpected places; while others receive incredible boosts leading to different outcomes. After 17 years in the corporate world, last month I started some incredibly exciting business ventures and left behind a steady visible role in a large organization and decided to invest time, work and brain into some of my (remunerative) passions and purposes. Will I go back one day? Maybe yes maybe not, surely not for a little while: I am increasing in value meanwhile as they say, staying laser-focused on my purpose and making impact where right now it matters most to me. I am incredibly grateful for what the corporate world has given me, I could not be doing this had I not had the experiences, network and discipline that only years of hard work in the corporate world often provide. Make no mistake, I worked hard, very hard and nothing was ever given for free, in fact, the opposite really, I gave much more than I received, as it happens for many in the corporate world. But if you are smart you learn from the good and the bad, I treasure this truth and have made it mine daily. I am born and bread in the corporate world and have met a great amount of smart, talented people in it. I have met those who love to thrive in it, and probably could not thrive elsewhere and surely not on their own, I have met those who believe to be seriously smart, but get nothing done and really smart are not, they simply shout louder or can temporarily leverage the right "vitamin", which by the way, will not last forever. I have also met a great amount of what one of my old bosses would call "floaters" - still makes me smile thinking of some people I have met over the years who perfectly fit this definition, you know who you are guys. And finally I have met some gems that could really shine brighter in other environments and some who are just perfect where they are and thank goodness for them, please keep shining. These dynamics today are increasingly interesting to me. Who stays, who goes back, who leaves the corporate world and why? Is it a generational phenomenon or part of the "4th industrial revolution" or both? What becomes apparent rapidly once out is the highly peripheral view we often suffer from when plugged deep into a corporation. I recently had lunch with Mark A., an admirable ex colleague who has decreased to the minimum his working hours at his company and started his own exciting business. Like me he has been on his entrepreneurial journey for only a few weeks and we both marveled at the amount of reality we only found out about once both out and about to build our businesses. More about him and his story in the coming weeks. So what happens once "out"? As mentioned you realize immediately that the business world is much wider than you had perceived. Of course, you do know that while at your corporate desk, but you don`t really size it up because everything you breathe is scanned through the "corporate lens". The incredible amount of seriously smart, brave leaders, ex-corporates mostly, who are driving and launching incredible businesses all on their own while having fast, high, tangible impact is positively overwhelming. And their impact affects their businesses, the economy and society at large. Not in years and multiple headlines, but in weeks or months with stats and facts. From years as a D&I champion in various corporate roles, I had realized the high amount of talents that the corporate world loses every year. 7 weeks into my own entrepreneurship adventure I can see where many of the brightest minds are increasingly heading to. What will the future hold for large corporations who are no longer able to retain many of their talents I wonder and what could be the impact on society? Is the balance of power shifting? Is this due to the new generations coming in, moving up and out, to the new opportunities offered by digital life, to a new awareness, or is it simply cultural and economical winds of change? Just over a year ago I was sitting in front of a very forward looking financial services economist, UBS`Paul Donovan who stated that "Labour markets are undergoing a cultural revolution: what we are seeing in the global economy today are the early stages of the 4th industrial revolution: 76% of UK businesses today employ nobody. They are 1 person businesses." Watch his presentation here. How real does that ring now. “Fearless Fridays" is about outstandingly talented human capital that has started businesses in the past few years. A series of blog-posts that will showcase the amazing stories of successful, purpose-driven entrepreneurs I have come across in my first 7 weeks outside of the corporate world and of those I met along the way in my highly formative years on the corporate ladder. We will portray talents that have left the corporate world behind to do something less conventional, whether it was to move into a different sector, to start their own business, or to do something more creative. 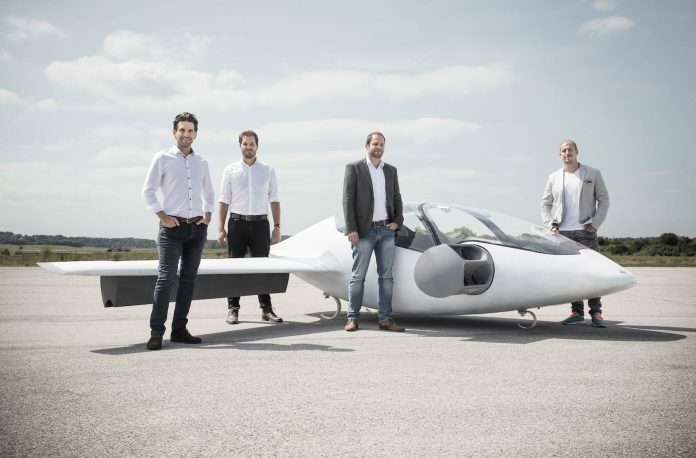 Stay tuned and don`t miss our first story on Friday 1 December on the single, most successful ever-recorded case of crowd-funding in Switzerland. Editing genes, delaying aging, flying cars. Welcome to the present. If you think any or all of the above topics come from some futuristic novel, well, you may need to think again. The future is here, and we are steadily working on solving some of the biggest environmental challenges of our time: climate change, food production, overpopulation, epidemic diseases. Often, most of the latest progress made on some of these developments is happening under our nose. Literally. As in, my friend and neighbor`s husband is working on flying cars. Vertical farming and vertical forests happen 500mt from my apartment in Milan. You can apply for Estonian e-residency today if you wanted to. Mice experiments have shown that reversing aging is possible. The office next to my gym hosts a start-up working day and night on alternative energy. They have one challenge only: too many requests, they are growing faster than they had ever expected. I am an avid fast reader so I feed my brain for breakfast with news first, then espresso (or the other way round, it depends on the sleep deprivation degree). I am a world citizen, so I care about the one and only planet we have and how we are handing it over to our children. I talk over lunch with friends or business partners about the tragedies happening as we speak but far from our eyes. How can this be happening. What can be done. There is little time for sadness, we need to act, fast, we can`t just sit there and read. A month ago I was trying to come to terms with the incredible fact that we are de-facto eating plastic when eating ocean fish. And in June I was wondering how fast can we get to use AI to counterbalance the amount of arrogance and ignorance in politics and in the corporate world. On this point, God forbid the return of Berlusconi seems to be real again. The guy is nearly 100 and while his aging might seem delayed, his stupidity is advancing. But what hit me the other night at the Female Founders Summit 2017 was the amount of change that is coming our way. Among many others, the wonderful presentation of Carole Hofmann, founder of the Summit, managed to pull together all the #FutureTech developments happening or coming our way and paint a fantastic, albeit sometimes scary picture. Thank you again, Carole, for such a good speech and event. What would happen if we were to have a prolonged electric black-out she asked? My mind ran fast to the depth of our cellar where we keep a small solar panel charger. Which could probably manage to charge a mobile phone in 24 hours as opposed to the current 45 minutes. We have batteries, sure, but how many and for how long would they last? If we were to have an electricity black-out, we would go from highly sophisticated busy human beings to cavemen in the space of a few days. Riots would begin within a week. Have you ever wondered how much dependent we are on electricity? No phones, no heating, no water, no transport, no cars once fuel runs out. Surely no TV and related, and no analogical telephone lines are any longer available so no communication. No cooking, no life as we know it. Do you have a fireplace? Great, get out in the deep winter and start cutting wood once your stacks run out. Oh we have no tools for that, have we. Suddenly the importance of the work of Tesla and all those wonderful start-ups working on alternative forms of energies and fuel seems of paramount importance. I have chosen to focus on one of the presentations that, among others, has hit a nerve. There were many others and there will be much written about them, about the great and brave founders of the event, about the importance of start-ups and of female founders. The Summit is a yearly event taking place in Switzerland, featuring pitches and showcases of innovative Female Founders, insights from the Ecosystem, access to Investors, Venture Capitalists, Business Angels, Corporate Venturing Initiatives, Networks and Mentors. In one sentence, it is the place to be if you wish to make a difference. Follow the FemaleFoundersSummit on FB and mark you calendars for next upcoming events.